A few weeks ago I wrote an article about the release of the free SkyDrive Pro app for Windows desktops. In there I noted that I didn’t believe it would be long before we saw more app released for different platforms, and happily I was right. Microsoft has recently released the new SkyDrive Pro app for both Windows 8 and iOS. available at my publications page or on most eBook retailers. Again, you really have to give Microsoft some credit for the speed and consistency with which they are rolling out features for Office 365. That is why I honestly believe it is the best platform for most businesses to use. 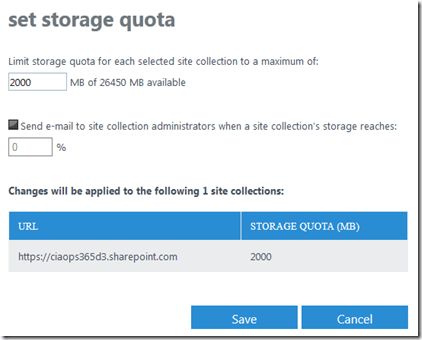 In a previous post I outlined how you can allocate more space to SharePoint Online for M and E. The next question people have is can you remove space from a SharePoint site? The short answer is yes, provided the existing SharePoint site hasn’t started using that space already. 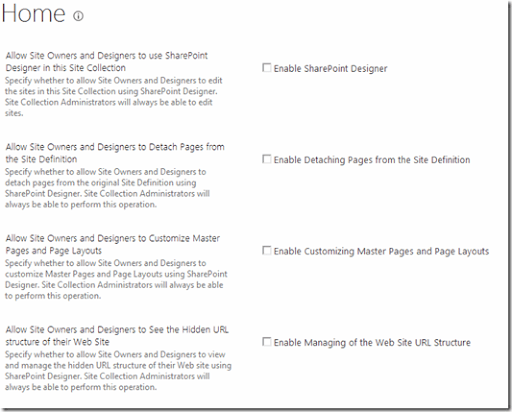 Click on the SharePoint site in question. The site collection properties dialog should appear as shown above. In there will be listed Storage Usage as well as Storage Quota. Press the Close button exit this dialog. Select the site to de-allocate by placing a check in the selection box to the left of the site. From the Ribbon Menu select the Storage Quota button. Enter the decreased amount of storage in the Limit storage quota box at the the screen and press the Save button at the bottom. You’ll see the site updating as indicated by a green spinning circle to the right of the name. When complete you should find the storage has been decreased the amount you specified in the quota. 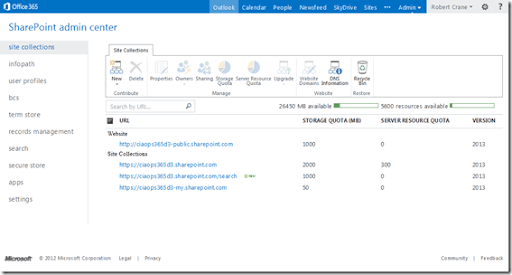 Remember, you can only remove the amount of FREE storage from a SharePoint site. 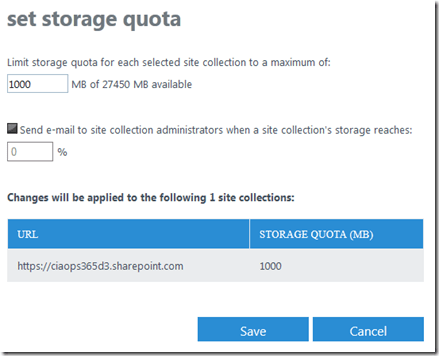 If the storage space is in use by SharePoint you need to free the space within SharePoint BEFORE you can de-allocate space. One of the most common things I find people strike when they start using SharePoint Online on an M or E plan is that they run out of space. The reason for this is that under these plans you have the ability to create additional site collections with independent space allocation, which you don’t get with the Small Business (P) plans. These days 1GB of space doesn’t go very far and many people become really puzzled when they can’t upload files. Select the SharePoint site you wish to increase with the check box to the left. Select the Storage Quota button from the Ribbon Menu. From the dialog that appears increase the Limit storage quota at the top by entering a greater value of storage and then press the Save button. You’ll then see a little green circle spinning next to the site you just increased. This means that changes are taking place. In a short period of time the green circle will disappear and your site will have more space. You can continue to add space up to the limit that is available for your tenant. You’ll find that limit listed in the top right under the Ribbon Menu as MB available as shown in the above screen shot. Yes, you can also decrease the amount of storage a site is allocated under the M and E, however that will be the subject of another post. For those that are regular readers of this blog you’ll know that I have been working hard to reduce the about of on site technology I have. Recently, I migrated this blog to Blogger and finally switched off the server that I used to host it. That now meant that I had no systems that needed to be constantly on. That prompted me to take the initiative and turn everything off when I wasn’t using it. So unless I need my desktop, laptop or storage server they remain off. The consequence of that? I have cut my power bill by about one third which is fantastic! I am now getting into the habit of powering off everything else that might consume power to see whether that may any additional difference. I somehow doubt it as most of power was being consumed by running PC’s. This immediate saving in power consumption got me thinking about what else could/should be “turned off”? One of things that I note many people never turn off is their mobile. I understand that some people need to be constantly available but is that REALLY you? A while back when we never had mobiles people seemed to survive. Yet, where ever I go these days I see people with a mobile glued to their ear having long conversations. Don’t get me started about the dangers of using a mobile over extended periods of time but do REALLY need to use it that much? I know people that complain about poor sleep quality yet they leave their mobiles on all night and even answer emails ‘because they can’t sleep’. How about you try turning the mobile OFF and see whether you sleep better? You are the master of the mobile not the other way around! Use technology to improve not hinder your life I say. Another challenge that many people seem to face these days is actually ‘turning off’ from technology and turning onto people. Sure, every one is on Facebook, Twitter, and so on but are these REAL relationships? Are these who would do you a favour? Hmmm…probably not. Why? Because even though they converse with you on social media they still don’t really ‘know’ you. Remember, something like 80% of human communication is non-verbal via things such as body language. By only chatting over emails and social media you are going to miss a lot of this. Now tell me how many times you have met with someone or a group and everyone seems to spend all their time look at their phones? A tad rude? Again, they again can’t ‘switch off’. The technology is controlling them, some may even say they are addicted. Perhaps the message for this post is that if you are feeling burnt out, stressed and tired when was the last time that you just ‘turned off’? If you haven’t I’d suggest you at least give it a try over a two week period and see if you are not the better for it. Just like the money I saved when I turned off my desktops, I’m sure you’ll save a huge amount of energy and more importantly it will provide focus for what is really most important in your life. Although I am a HUGE Microsoft OneNote fan I have also always been a HUGE fan of Evernote. The ability to take notes on any device (including directly form the web is priceless). The ability to have all these notes sync’ed across all the devices all the time so they are always up to date is again priceless. I think that one of the things that you find with successful people is that they WRITE THINGS DOWN. From to-do lists, to notes, to FAQs, to procedures and policies, blogs, what they share in common is a desire to get information out of their head and down somewhere. If you read David Allen’s “Getting Things Done” (aka GTD) one of his big mantra’s is getting things out of your head and down somewhere to be more productive. It is simply but so very effective. I think Evernote now has some real competition with Microsoft OneNote being available with every version of Office and also via Office Web Apps. However, I hope that Evernote continues to innovate and develop their product because I still use it very regularly. With Evernote now exceeding 65 million users I am proud to say I was an early adopter who understood the benefits of what Evernote was creating (as evidenced by my Evernote user number above). So, if you are not writing things down then you are going to struggle to succeed. If you want a smart way to getting stuff out of your head you can’t go wrong with Evernote. Not only is it a brilliant product it is also FREE! Thus, there is no reason why you shouldn’t be using it everywhere if you want to be successful. I am beginning to see more and more Australian Office 365 tenants being upgraded to Wave 15. Because many of the Office 365 tenants are provided through Telstra most customers will only receive a notification of an upgrade if they login to the admin console of Office 365. It is my understanding that no direct emails will be sent to administrators and the like. This could mean that you wake up one morning and find everything has turned a shade of blue. The impact for emails should be minimal but with SharePoint the story is different. 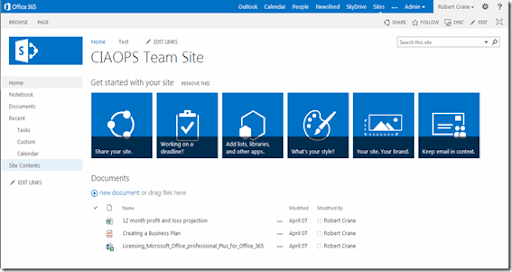 Users will see a banner appear at the top of their SharePoint sites prompting that the interface should be upgraded to SharePoint 2013. 1. 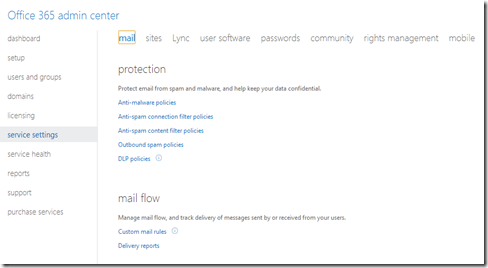 Eventually all Office 365 tenants will have to upgrade to the SharePoint 2013 interface. So you can’t stay on the old look and feel indefinitely. 2. When you do it will mean a completely different look and feel. 3. Some custom SharePoint items may ‘break’. 4. You need to upgrade all your site collections. 5. The upgrade process time will depend on how large your existing SharePoint sites are. 6. Once you upgrade the interface to SharePoint 2013 you can’t roll back to SharePoint 2010 look and feel. So if you have (or support) an Australian Office 365 Wave 14 tenant and you want to know when it is schedule to be upgraded make sure you login to the administration portal on a regular basis. Also, don’t forget that some of the biggest changes you and end users will see is with SharePoint, so the advice here is to be proactive and be ready. SharePoint Designer is a free tool from Microsoft that allows you to make modifications to SharePoint sites. It can allow you to make changes down to the code and HTML level. That is great if you know what you are doing, however if you don’t you can cause irrevocable damage to SharePoint. It is located in the Software section of all users Office 365 portal under the tools & add-ins. As an administrator it is possible to disable this. Here is the procedure. 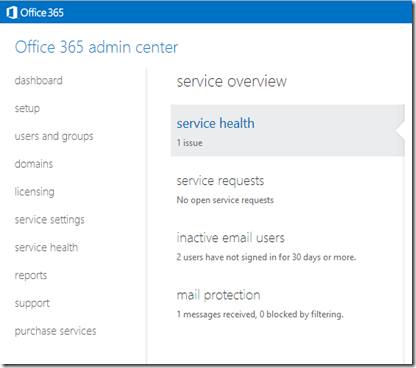 Login to the Office 365 portal as an administrator. From the menu on the left hand side select service settings. From the menu across the top select user software. 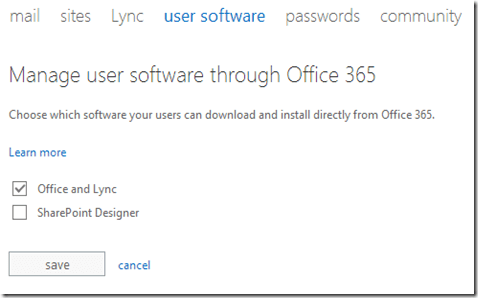 At the top of the page you’ll find the option to Manage user software through Office 365. In this section you can uncheck SharePoint Designer and then press the save button. You’ll also notice that you have the option to prevent users from also downloading Office and Lync (if it is part of their plan). The administrator has disabled SharePoint Designer 2013 installations. Contact your administrator for information about how to install SharePoint Designer 2013. So what can you do if users download SharePoint Designer themselves and attempt to modify SharePoint? 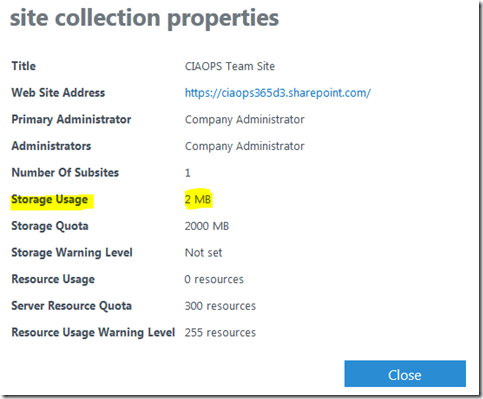 Luckily, SharePoint has the ability to disable operation within individual SharePoint site collections. Unfortunately, if you have multiple site collections (M or E plans generally) then you’ll need to make the following changes on each site collection. Login to the site collection you wish to change as an administrator. In the top right of the window press the ‘cog’ icon to reveal the above menu. From this select Site Settings. 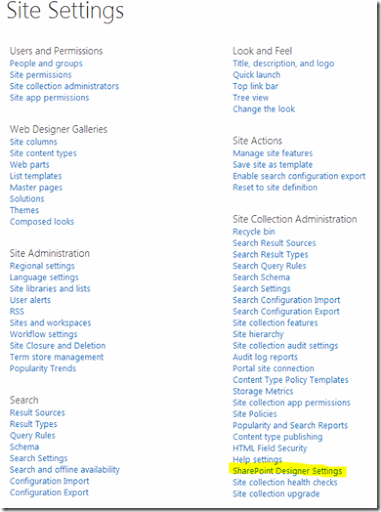 In the bottom left, under Site Collection Administration, select SharePoint Designer Settings. Unselect all the options listed. 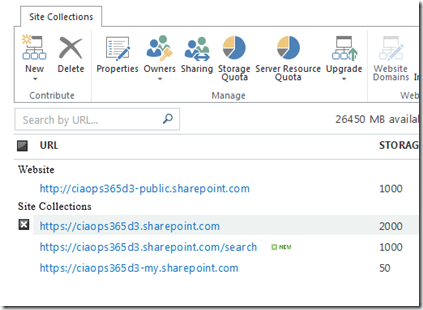 By doing so you will remove the ability for ALL users (administrators included) to use SharePoint Designer on this site collection. You will note that by default only Site Owners and Designers can edit sites using SharePoint Designer. Most users are only Site members, so they “shouldn’t” be able to using SharePoint Designer on a site. However, if you want to 100% sure that NO ONE can use it then uncheck all the options here. Press the OK button to save and changes made. You will be returned to the Site Settings page. For this first event I have lined up Microsoft MVP – Developer Security Troy Hunt who will be speaking about ‘The Insecure Web’. All the details about the meeting are on the registration site but we’ll be using Lync 2013 so we can take feedback and questions from attendees. There will also be plenty of time for general technology chat so come along and let me know what you’d like to see these meeting contain. If this meeting is a success then I’ll be scheduling more, so come along and let me know what you think and of course get some great info from Troy.